Providing Spinal Thrust Manipulation to patient at Hampton Physical Therapy – Seabrook NH. Have you ever woken up with a stiff neck or back that makes it painful and difficult to move and go about your everyday routine? Your first thought may be to call the chiropractor, but did you know physical therapists are licensed and trained to perform spinal manipulations as well? What does thrust manipulation mean? Physical therapists have been performing thrust manipulations in the United States since the 1920’s and have been evolving with technique and application through years of clinical research and evidence based practice. Manipulation/mobilization as described by the Guide to PT practice is “A manual therapy technique comprised of a continuum of skilled passive movements to joints and/or related soft tissues that are applied at varying speeds and amplitudes, including small amplitude/high velocity therapeutic movement.” Thrust manipulation is defined as a high velocity, low amplitude therapeutic movement within or at end range of motion. It is within PT scope of practice and is taught in professional physical therapist education as well as continuing education courses which all of our therapists have participated. Is thrust manipulative therapy right for you? Thrust manipulation is just one of the many services and interventions physical therapists administer during patient care. Manipulations provide many benefits for patients in pain including immediate decrease in pain, increase in range of motion, increase circulation, relaxation of tight muscles, and improved muscle function to perform daily activities. 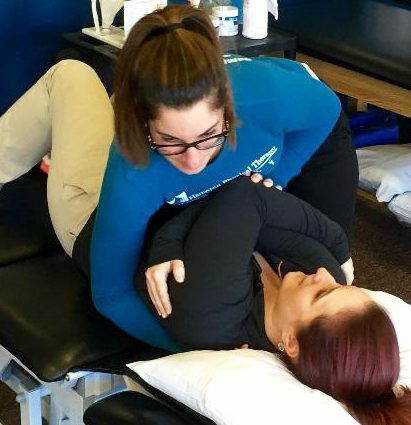 The risks associated with spinal manipulation are very low and all of our therapists have been trained to perform the techniques in a safe, effective manner for those deemed appropriate. 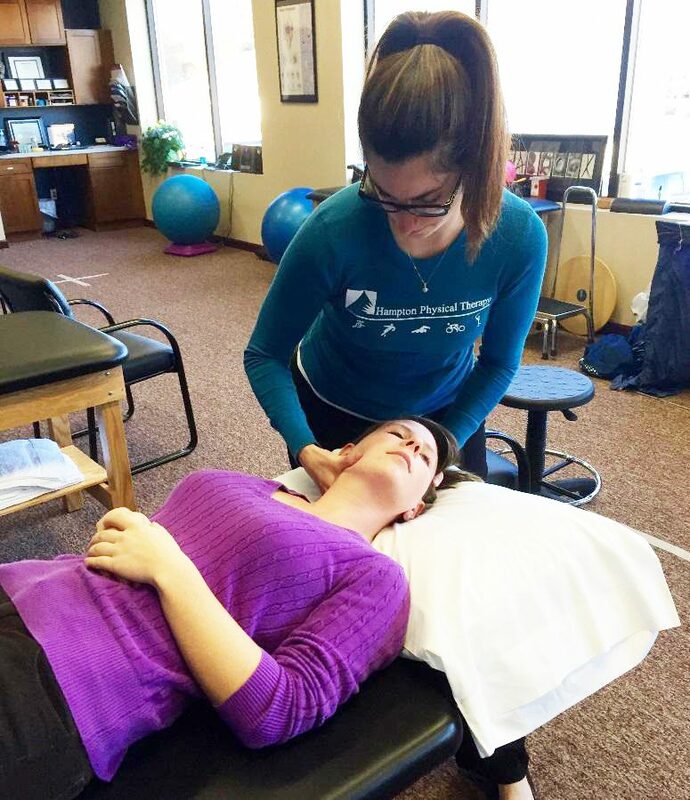 Spinal manipulative therapy is used to treat a variety of ailments including neck pain, headaches, low back pain, sacroiliac pain, rib pain, shoulder pain, and thoracic pain. Therapists are trained to recognize indications and contraindications for thrust manipulations and are able to make educated clinical decisions based on their evaluation findings. However, there are those that are not appropriate for spinal manipulations including those with advanced osteoporosis, CAD, aortic aneurysm, TB infection, tumor, fracture, upper cervical instability, cauda equina, cervical myelopathy, and extreme or excessive pain. Should you choose to see a physical therapist instead of a chiropractor? Application and technique of spinal manipulations are similar across both professions however the treatment models between physical therapists and chiropractors differ. Most chiropractors practice under the theory of the “spinal subluxation complex”, meaning a subluxation of a vertebrae in the spinal column can alter neurological function and if left untreated can lead to disorders and disease of all systems. Physical therapists on the other hand utilize manipulative therapy of the spine and extremeties along with other manual techniques and exercise to treat and prevent neuro-musculo-skeletal pain and dysfunction and restore mobility within these systems. What’s the next step? Do I need to see my doctor first? New Hampshire is a direct access state meaning depending on your insurance you can come to physical therapy without a doctor referral. All of our Doctors of Physical Therapy are trained to determine if you are appropriate for manipulative therapy and will develop a plan of care to help you rid of your pain and reach your goals! So if you or someone you know think could benefit from manipulative therapy or any of the other services we provide please contact me or any of our other licensed and trained physical therapists at Hampton Physical Therapy to schedule an evaluation today!